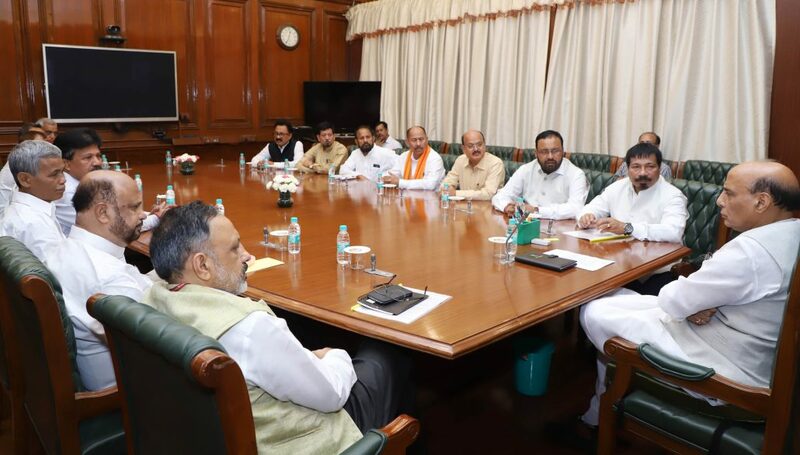 A delegation of Asom Gana Parishad (AGP) led by Assam Agriculture Minister and AGP leader Atul Bora called on Union Minister for Home Affairs Rajnath Singh on Tuesday and demanded scrapping of the Citizenship (Amendment) Bill, 2016 by reiterating the party’s strong opposition. The delegation also submitted a memorandum before Rajnath Singh and urged not to provide Indian citizenship to illegal migrants including Hindu Bangladeshis on the basis of religion. Former Assam Chief Minister and AGP leader Prafulla Kumar Mahanta, AGP’s political affairs committee chairman Brindaban Goswami, executive president Keshab Mahanta and parliamentary affairs committee chairman Phanibhushan Choudhury were also present during the visit. Bora demanded to implement the historic Assam Accord to identify and deport illegal migrants including Hindu-Bangladeshis from Assam.